Basic Green supports Multilingualism. No extra language variables required for this style. The style uses Nunito Sans. Tahoma was chosen as the fallback font. 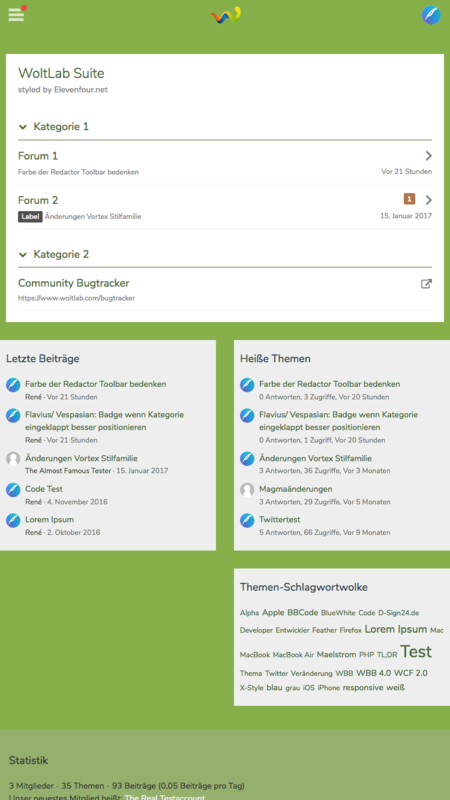 Basic Green is out of the box suitable for high resolution monitors and makes uses of the responsive features of WoltLab Suite. New SCSS variables offer the possibility to easily override this style's settings to match your need. More on this soon in the Support area of Elevenfour. 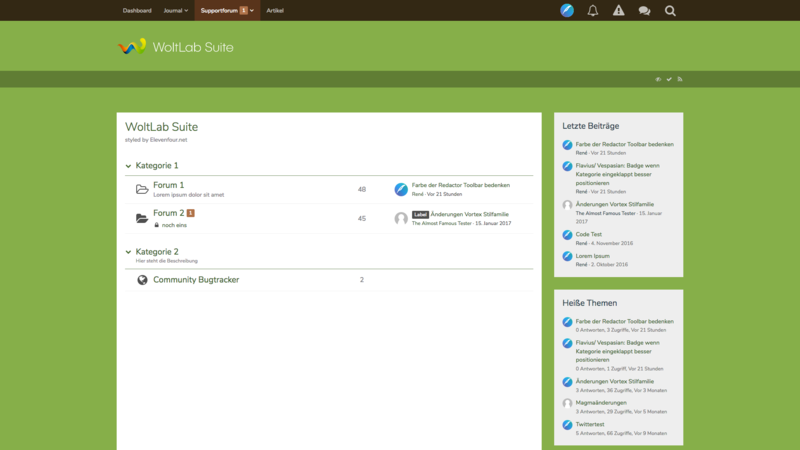 All WoltLab applications for WoltLab Suite (WS 3.0) and all modern Browsers are supported. The style was written in CSS 3. Articles of the WoltLab Suite CMS and of WoltLab Blogs have a slightly higher font-size and line-height. 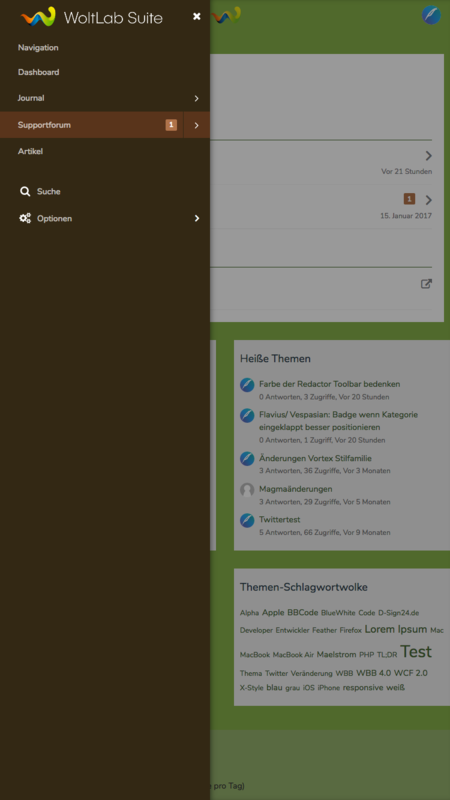 The font-size is responsive to browser settings. Basic Green - is a simple style which doesn't use all these shiny effects but instead brings a different - green - look to your WoltLab Suite. 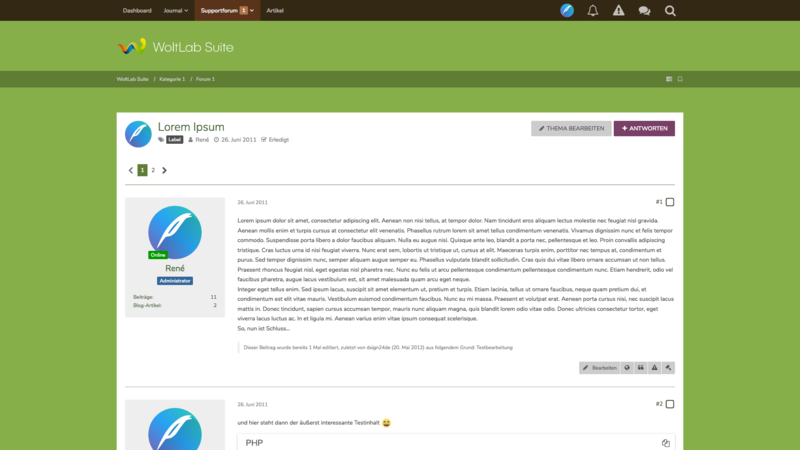 The style doesn't use its own template group so it's highly compatible with your WoltLab Suite copy. 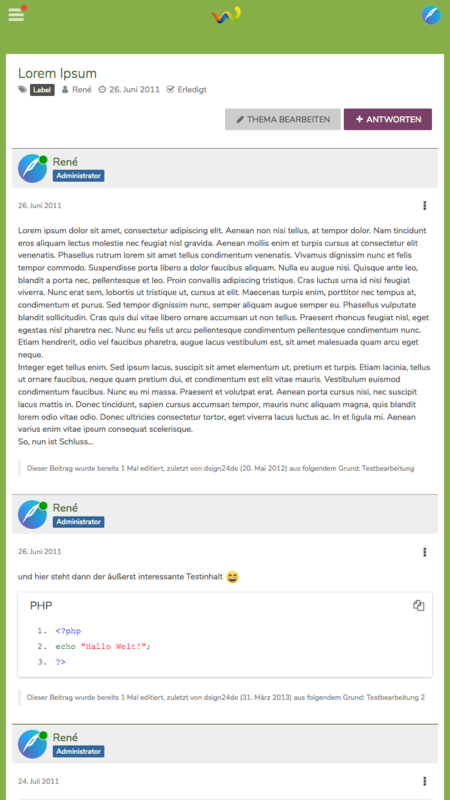 The font size of this style is responsive, i.e. if your user has set higher font-size in their browser because they have issues reading small text than this style automatically reacts to this setting and displays your content in this larger font size making sure it's readable.